Find here MyBottleShop coupons, vouchers and deals! MyBottleShop is an online store that has over 4000 drinks and gifts that you won’t find in your average supermarket liquor store. Top shelf spirits, unique gift ideas, craft beers, tasty liqueurs, bar gifts, and glassware. Shipping is fast and free for orders over $100. 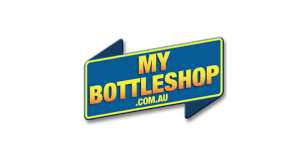 MyBottleShop is Australia’s # 1 pure play online liquor retailer. We don’t sell the usual range of liquor products you’ll find in every other liquor store. We source limited edition and collector’s bottlings of beer, wine and spirits from artisan producers and accessorise those products with the very best glassware, barware and mixers so that you can have a top shelf liquor experience in your bar or at home. We work hard to find goodies and collectables from the back catalogues of the world’s major liquor producers. After all this is YOUR Bottle Shop.